Look at this 2002 Chevrolet Avalanche Z71. Its Automatic transmission and Gas V8 5.3L/325 engine will keep you going. 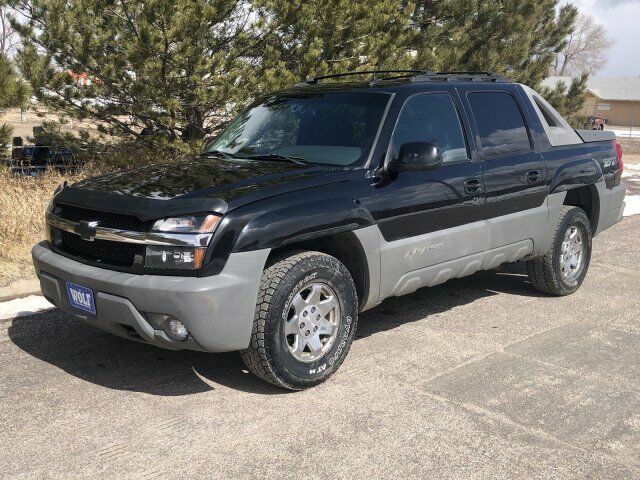 This Chevrolet Avalanche has the following options: P265/70R17 ON/OFF-ROAD SBR BSW TIRES -inc: 16" spare tire w/steel wheel, OFF-ROAD SUSPENSION PKG -inc: off-road suspension w/specially-tuned springs/shocks, skid shields, locking rear differential, P265/70R17 on/off-road BSW tires, 17" aluminum wheels, aggressive rubber floor mats, high-capacity air cleaner, "Z71" decal, LOCKING DIFFERENTIAL, FRONT HIGH-BACK RECLINING BUCKET SEATS -inc: floor console, inboard armrests, manual driver/passenger lumbar,rear air cond vents, dual 6-way pwr seats, CONVENIENCE PKG -inc: auto-dimming driver exterior mirror, auto climate control, OnStar Safety & Security system, HomeLink universal garage door opener, CLOTH SEAT TRIM (STD), CHROME TUBULAR ASSIST STEPS, BLACK ROOF LUGGAGE CARRIER *Dealer installed*, 5.3L (325) SFI V8 (VORTEC) ENGINE (STD), and 4-SPEED AUTOMATIC TRANSMISSION W/OD -inc: trans oil cooler, tow/haul mode (STD).